It has been predicted in recent times that the Internet would function as a stepping stone to a much greater body of knowledge and wisdom, information and data. Whereas today the World Wide Web (WWW) has connected the whole planet via traversing information superhighways, in the future there will be no need for either the hardware or the software associated with today’s cyberspace. In other words, the Internet is merely providing a practice round for the real test inexorably approaching humanity. Whenever we plug into the WWW, we are immediately accessing the current comprehensive global information database. Each of us has the same basic access to the Internet brain at any given moment of time. However, the amount and accuracy of all that Internet-based information is constrained by the quality of the collective input. When good info is uploaded, good data can be downloaded. Likewise, garbage in; garbage out. Nevertheless, this ongoing Internet exercise is a trial run for the human being to practice tapping into the Cosmic Mind. Every person is hardwired with the human faculties to access the universal brain, but only very few really know it … and even fewer have the necessary faith to do it. After a few decades under our belt playing with the Internet many of us will eventually come to the understanding that this form of IT is but a child’s plaything. When compared to the meditative process of accessing the Akashic Records, the Internet will be clearly seen as the primitive manmade construct that it is. It will also be perceived as the greatest weapon of mass deception since the television. Hence, the desire to segue over to the Cosmic Mind will both intensify and hasten, for there is no deception in that sacred space. There is, however, one major stipulation and required condition prior to entry. 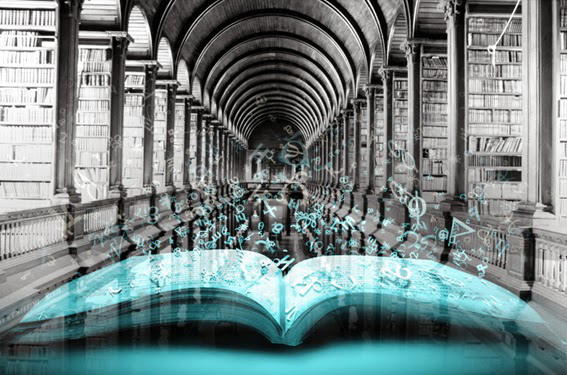 Because the Akashic Records represent the totality of all “wisdom and knowledge, information and data” throughout the realm of human experience and beyond — past, present and future — those who have been permitted to access them have passed many crucial tests. Otherwise, that powerful cosmic database could be misused and/or abused by lesser evolved souls. The Akashic Records refer to the matrix of consciousness programs that create our reality within that hologram. One could look upon it as a library of light wherein one can access all information. 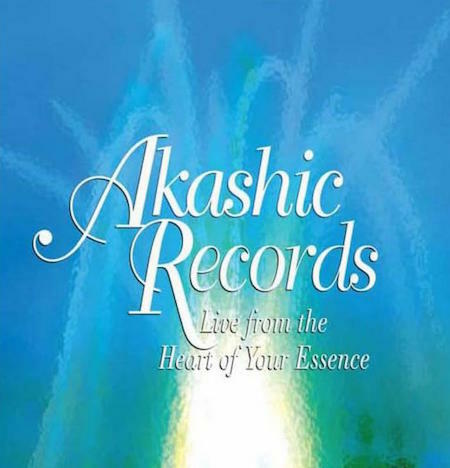 The Akashic records (Akasha is a Sanskrit word meaning “sky”, “space” or “aether”) are collectively understood to be a collection of mystical knowledge that is encoded in the aether; i.e. on a non-physical plane of existence. The concept is prevalent in New Age discourse. With this revolutionary understanding many will now undertake the alchemical process necessary to tap into the Cosmic Mind. In so doing the Universe itself is now making available many tools and techniques which will facilitate our individual and collective transformation. Leaps of consciousness are now being expedited with perfectly timed external revelations as well as interior realizations. Likewise, profound appreciation for human differences will soon replace the present fear-based paradigm as cross-cultural mutual acceptance and authentic racial cooperation replace the old world order. The Internet is now serving as the primary vehicle for the metamorphosis of the entire planetary civilization in this fashion. The expansion of human consciousness and raising of collective awareness is now taking place at an unprecedented rate … some even say exponential. 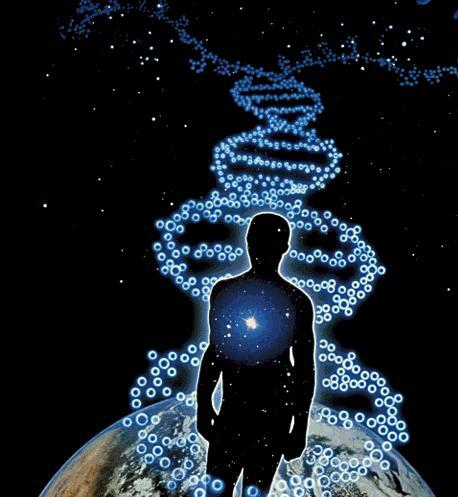 While human DNA is rapidly altered reflecting this unparalleled transmutation of humanity, various critical thresholds are being exceeded. As the DNA of humanity undergoes such a profound and fundamental rewiring, much greater powers of perception and capacties of comprehension are made avaible. When coded optimally the DNA drives the most powerful operating system in existence. At the same time the very warp and woof of the galactic ’morphogenetic field’ is being rewoven in real time. 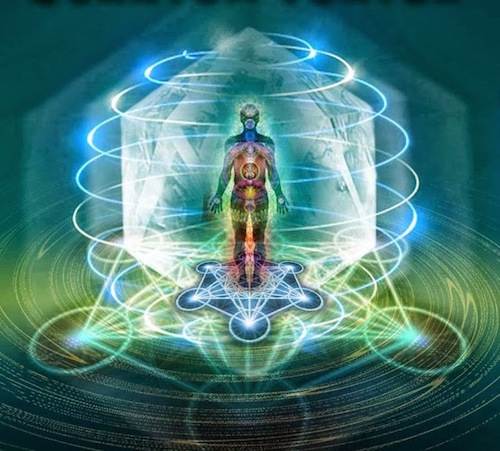 Because the field of cosmic consciousness seamlessly interpenetrates all human consciousness, portals are being opened up to other realms of existence. Massive energetic downloads are occurring via cosmic waves which have been emanating from the Galactic Center. These are not ordinary downloads; rather, they contain infusions of sacred energy and spiritual information which will edify the next race of humanity. Through it all the Internet is being utilized for the highest purposes of enlightenment and empowerment by the Universe, even as those misguided souls continue to use it for dark purposes. Sublime frequencies and enhanced vibrations are now easily disseminated worldwide in a quite extraordinary and unrivaled manner. Especially for those who have been so blessed to recognize it as an evolutionary catalyst, the Internet is providing a practice run for the eventuality of tapping into the Cosmic Mind. In light of this transformative knowledge the following essay will make perfect sense. It will also illuminate how the Internet may be obsolete in the not-too-distant future as it becomes a product of its own planned obsolescence. Only those who can correctly read the Akashic Records will know the time and the place. Therefore, there is no better time than now to begin putting into practice the spiritual wisdom and mundane knowledge which we have all accrued down through the ages. After all, it is nothing but heart-centered intuition that has gotten most of us this far … especially during the twilight of the Kali Yuga!